If you are looking to buy a pair of new headphones for your laptop, you are aware the choice is huge. 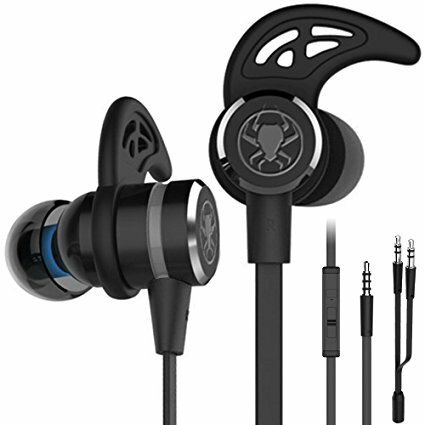 The headphones come with different features, in various sizes, designs and price tag. In order to help you choose something really cool, we have created a list of the best laptop headphones. Looking for the best laptop headphones? The search always begins with an effort to find the most compact product that you could find online. The Edifier H650 is an amazing piece of equipment and it’s one of the most popular choices on Amazon for a reason. If you haven’t come across the brand yet, Edifier is a known professional audio equipment manufacturer and it is easy to expect some decent build quality from them. The H650 is just impressive to the core because it is available in a range of vibrant colors like blue, pink, violet and yellow. It’s very affordable and can be folded in half. You can just throw it in your bag and go to school, office or travel easily. 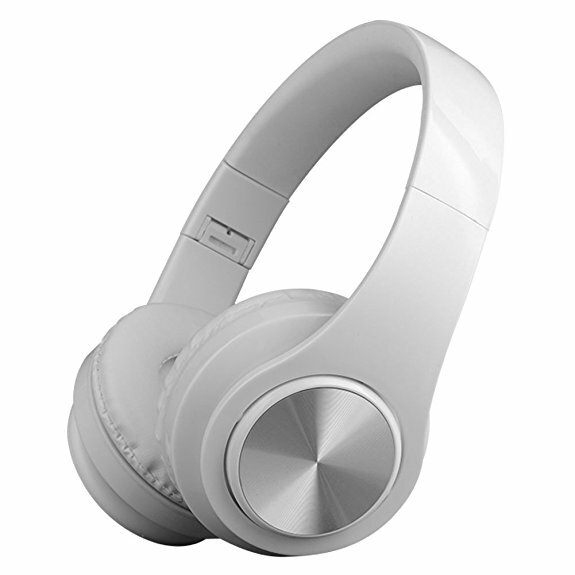 The headphones are a compact on-ear model which sports large 40mm neodymium magnet drivers. It also ensures a comfortable wear as the ear cups are made of plush leather and are cushioned appropriately. It is made mostly using plastic but is still sturdy, because a satin headband is provided. It is fully adjustable to suit all types of heads and comfortable to wear for long hours. What Makes this the Best Portable Headphone? Cowin is a relatively new brand and definitely not a professional one at that; but the quality they offer is simply exceptional. With thousands of positive reviews and an impeccably good looking design, the Cowin E7 is a great product for the asking price. It’s got a shiny matte black finish that supports Bluetooth technology so that you can use it both with your laptop and smartphones on the go. The active noise cancellation at this price point that’s lower than $100 makes it a sweet deal. The headphone is large for a comfortable on-ear fit and has 40mm drivers to deliver excellent sound reproduction. 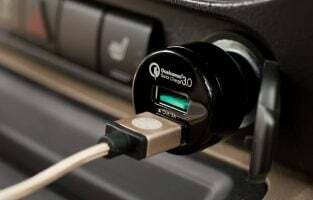 It has a built-in microphone using which you can take phone calls when required and the lack of wires makes it great to use your laptop when on a plane or traveling in a car. 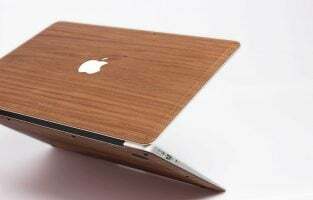 If you wish to pair it with your laptop, you should be able to do so anytime without difficulty. Even if you have an old laptop, you can buy a Bluetooth dongle and make use of the ANC feature. The earpads are comfortable, uses soft leather material and looks great making it an all-rounder choice for work and music. The Cowin E7 is available in white, black and purple colored variants. What Makes it a Great Headphone? Music fans may have a very good idea of what brand Marshall is as it has been around for decades and is known for their high-quality speakers. 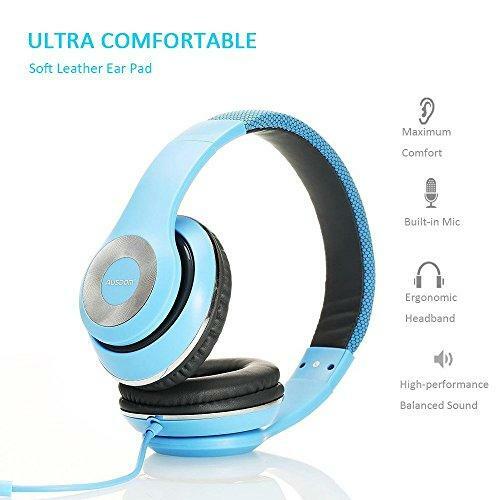 The latest range of headphones from the company are equally good as they retain excellent build quality, great leather and plush finish besides being capable of producing impressive sound quality. 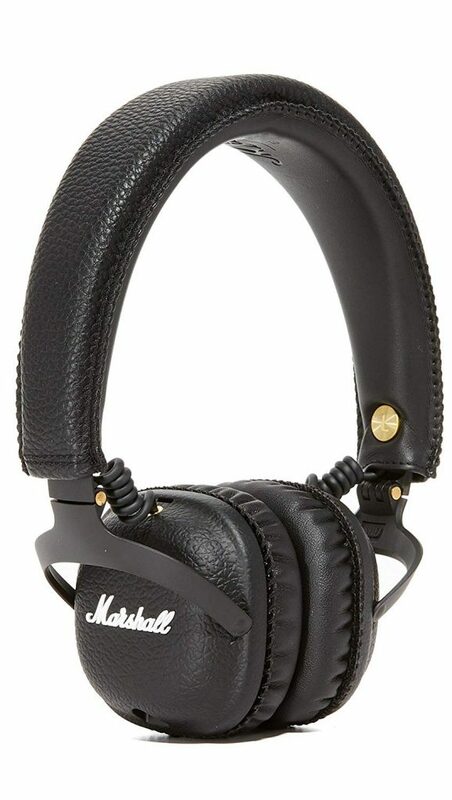 The Marshall Mid Bluetooth headphones are powered by Bluetooth aptX technology allowing the device to transfer high-quality sound wirelessly. It is capable of running up to 30 hours non-stop on a full charge and is equipped with custom drivers. Considering the price point that is slightly more than $100, it is a great pick for beginner audiophiles who are not interested in $500 pair of cans, but would like to experience compact build and great sound. 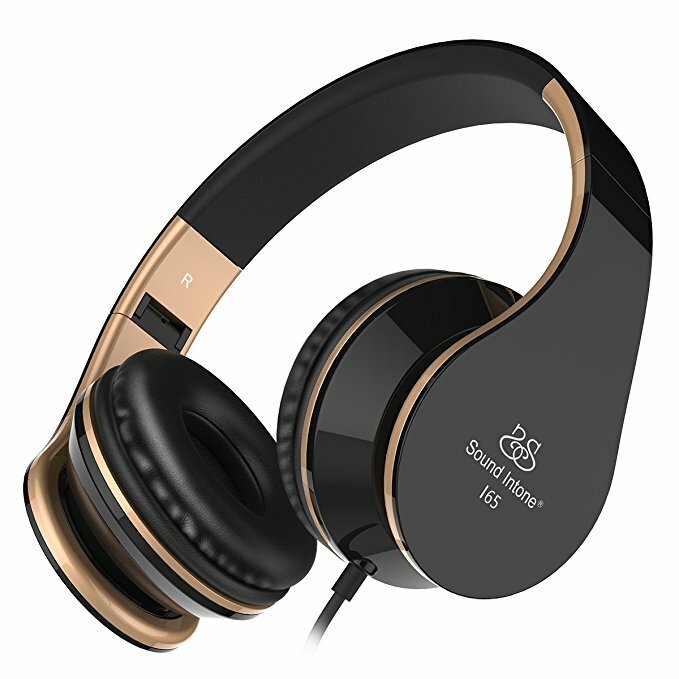 The on-ear headphones are very compact, easy to carry anywhere and the black finish is excellent which should easily sync with your laptop’s device. You can even use this one in office without people looking at you for weird designs. The headphone can be connected using Bluetooth and the bundled cable which has microphone and volume control. 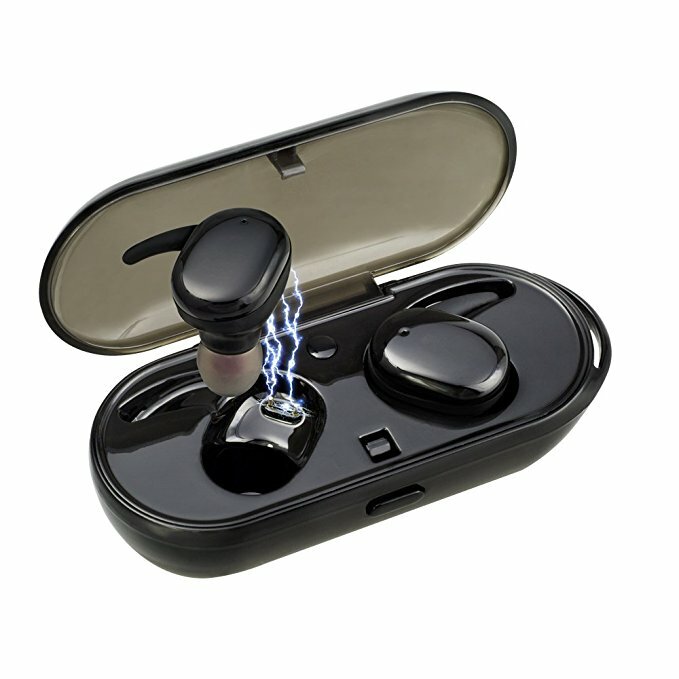 It uses micro USB for charging and delivers a memorable sound signature for portable usage. What Makes Marshall the Best in Class? Portability is the key to buying a headphone to use with your laptop. If you want something that you can shove in the laptop bag and travel with ease, in-ear headphones are a great choice. Out of the tons of models available, SoundMagic E10C is the best rated budget-friendly earphone that you will find online. The earphone is known for its vibrant choice of colors like blue, red and gunmetal. It is extremely comfortable to wear for long hours and produces a colorful sound reproduction. That’s great for listening to music and watching movies. The E10C has a microphone and volume control which work both with iOS and Android devices, in case you plan to use it with your smartphone. 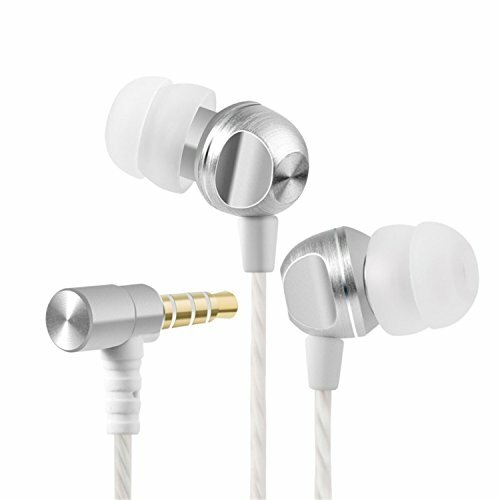 The SoundMagic earphones are made of solid metal earpieces and use tangle free cables. You can shove it in your bag without worrying about knots. It produces a balanced sound with clear bass and treble making it fun to listen to. The earphones have won multiple awards and come bundled with three different earbuds from which you can pick your choice. 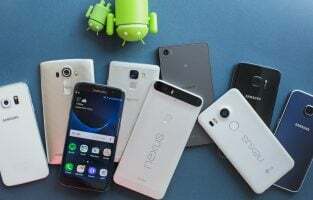 For the price tag, you can hardly find something that is as good as this one especially from a recognized brand that supports good warranty and replacement policies. What Makes the E10C the Best Portable In-ear Cans? 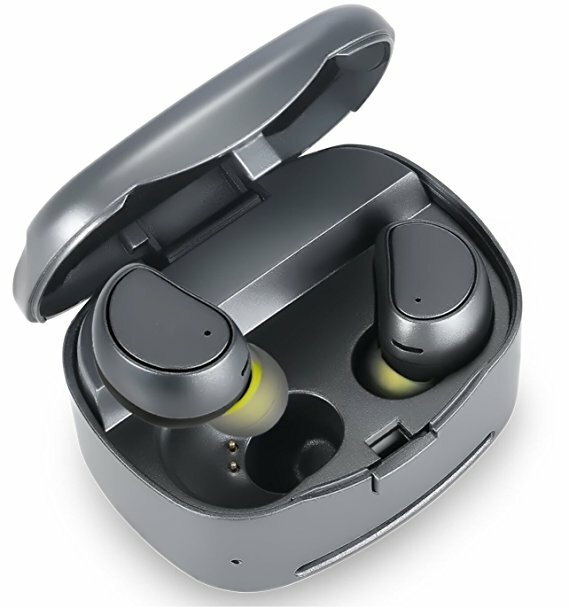 When you read this, don’t be fooled by the term cheap because the Panasonic ErgoFit in-ear headphones are no way cheap and are actually the opposite of what you might assume. 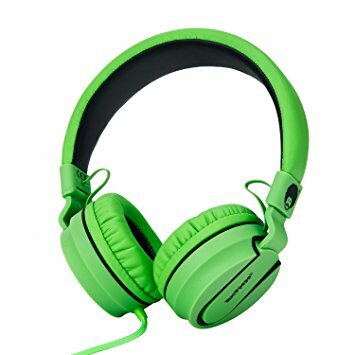 They are too easy to buy even for students on a budget, office goers who need an alternative to listen to videos in office without spending much and for anyone who just needs a pair of headphones. In-ears are usually good at noise isolation and these Panasonic earphones are great at it. They offer a very comfortable, snuggly fit that you wouldn’t even feel they are there. If you don’t believe this, you should probably believe the 50k reviews online. That’s a massive number that hardly any manufacturer can boast of but this particular model has managed to snag it all. The earphones are available in a fantastic range of half-a-dozen color choices including red, pink, blue, purple, green and many more. They offer 16 Ohm output with 10 Hz to 24 Hz frequency with a small 9mm driver that you could really on. The cord is quite long at 3.6 feet and it works with all kinds of laptops, phones and music devices. It’s one of the best that you could buy without giving it a second thought. What Makes the Panasonic ErgoFit So Awesome? Buying a headphone without Bluetooth support should be a tough call now as almost every other manufacturer is busy pushing it into the mainstream market. While professional audio still relies a lot on cables, the Panasonic RP-HF400B-K is purely focused on consumers. 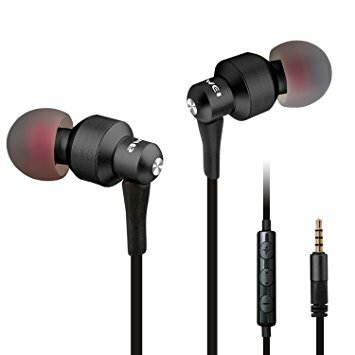 People who love lightweight, or featherweight headphones can comfortably go for this pair as they solve the purpose easily. Powered by large 30mm neodymium drivers, these headphones are excellent when it comes to producing an authentic sound. It has acoustic bass control to switch between a more bassy sound to a lighter tone with more emphasis on the treble and mid tones. The ultra lightweight product weighs just 4.5 ounces and requires 2.5 hours to be fully charged. When done, it can last for a massive 20 hours of playback which is great considering how affordable these pair of cans are. The Panasonic HF400B works up to 33 feet so that you can connect it to your laptop and walk to the kitchen or the printer in your office without losing touch of a call or music. It has burst to charge using the micro USB port using which you can charge for 15 minutes to get 2 hours of playback. The convenient size and lighter weight make it easier to fit in any bag or backpack. 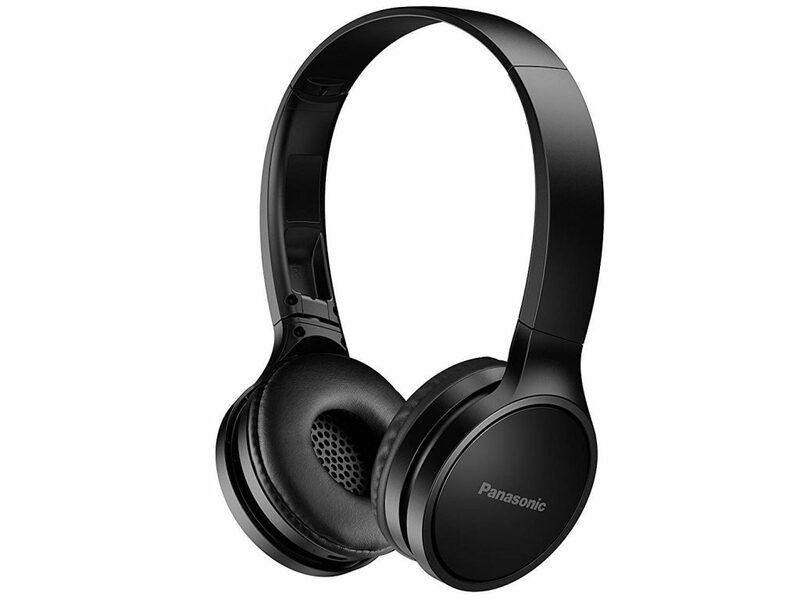 What’s Best about the Panasonic Headphone? 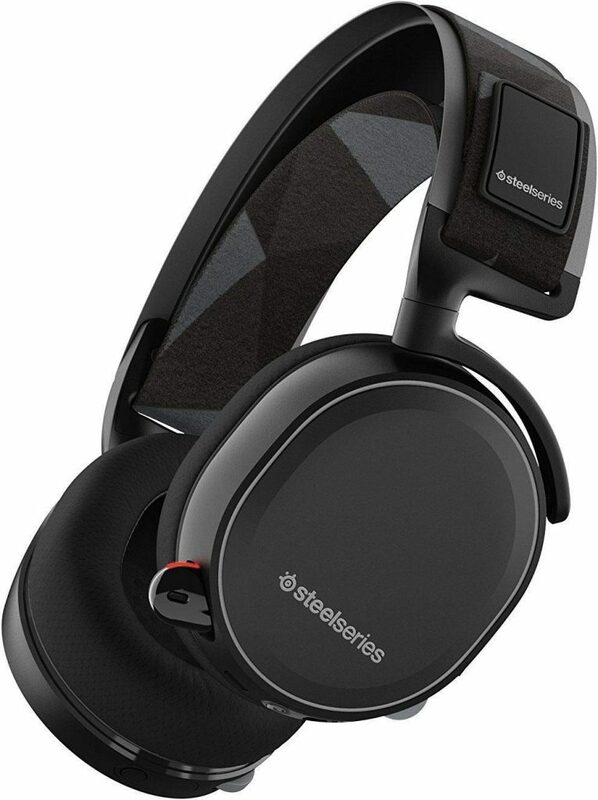 In the headphones segment, not many products can boast of DTS support but the SteelSeries product stands out from the crowd. The headphone has been solely made for gamers who enjoy gaming on their laptops. 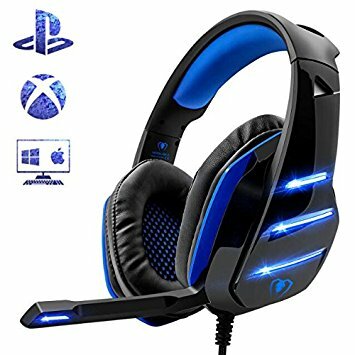 If you own a powerful gaming laptop and like to play multiplayer titles on the go, it is high time you invest in a good pair of cans that have a microphone attached to it. After all, they give you the winning edge against your opponents by communicating easily with your team. SteelSeries is a known brand among gamers but is a newcomer to the world of sound and music. They have done a commendable job with excellent build quality and provide the Arctis series in multiple price range. This particular model is a mid-range while you can also opt for a more expensive or a less expensive variant. The Arctis 7 is stylish with a comfortable headband and ear cushions. You can wear it for long hours for both music and gaming. It supports DTS with 7.1 surround audio which is mandatory for immersive music as well as to find where your opponents are during a gaming session. The wireless cans support 2.4GHz audio with a range up to 40 feet and can last for 24 hours on a single charge. It has a frequency range between 100Hz and 6500Hz. 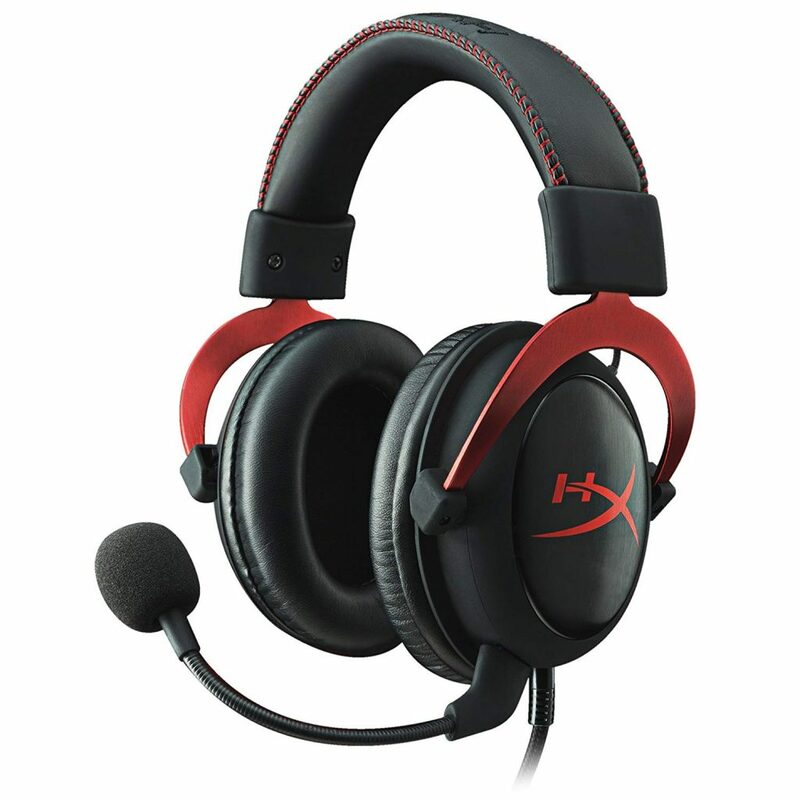 Everything about the HyperX Cloud II gaming headset is impressive because it provides lots of accessories, excellent build quality and sound that can usually be found only in audiophile headphones. You get the highest level of comfort made possible by memory foam ear pads and there is also an additional pair of ear cups provided so that you can switch them for that perfect fit. The Cloud II is marketed as a gaming headset, but you can comfortably use it with your laptop and later shove it in your bag when you are on the move. 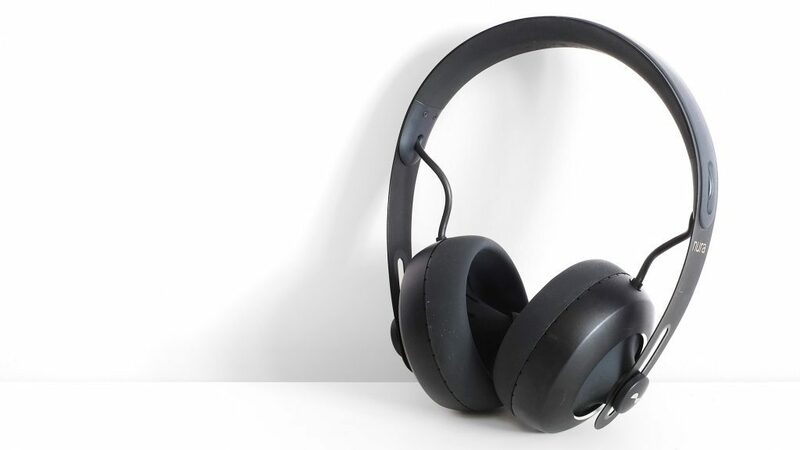 The headphones sport an over-ear design which provides great noise isolation from external sounds and are powered using very large 53mm drivers made of neodymium magnet. They have a frequency response measured between 15Hz to 25,000Hz. The microphone is detachable and you can use it purely as a headphone for listening to music or watch videos. The mic can be attached on the weekend in case you need to make a call or play multiplayer titles. While the red and black design of the HyperX model may not be so subtle in an office environment, it is not too flashy and you should be able to use it without grabbing too much attention. It has ambient noise attenuation and has a USB audio card to deliver 7.1 surround sound for the most immersive experience. The product is also shipped with a carrying pouch so that you can slip it inside once you are done with the work and keep it safely tucked inside your backpack. Before you know about the pricing of the product, it’s good to have a look at and then listen to the Beyerdynamic T51i or the T51p. Both these headphones are the same products; the ‘i’ variant provides microphone support for Apple products such as the iPhones. Beyerdynamic is one of the most regarded brands in the world of audiophile products and professional studio monitors. 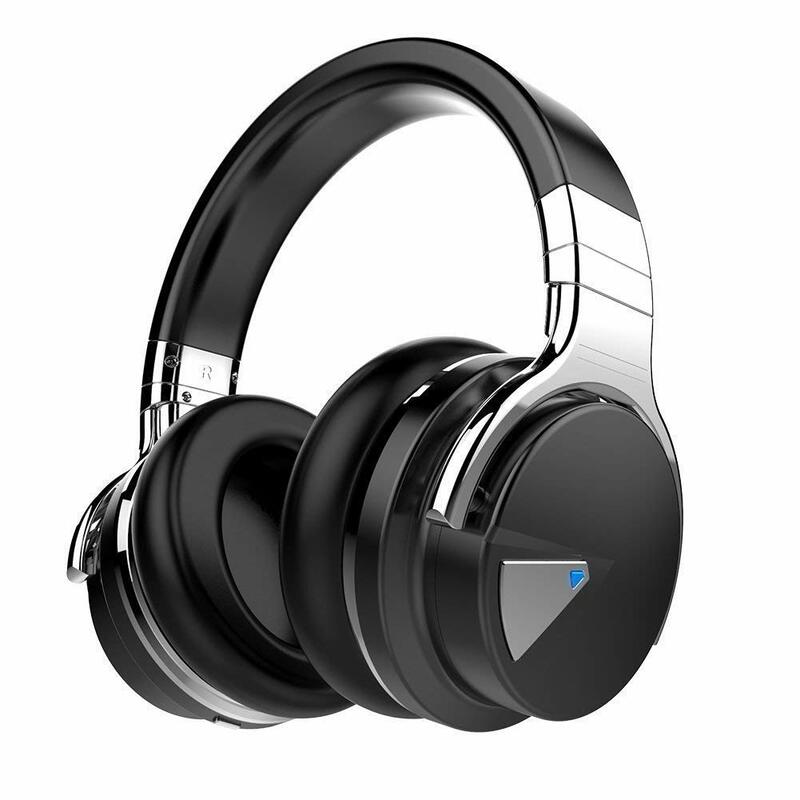 They have created the best ever portable headphone for the prosumer who would love to explore the world of professional monitors and the sound quality it provides. The 51i is extremely comfortable as it is made of soft memory foam ear pads that are great to wear for long hours of music, movies or simply listening to professional videos. The entire product is made of metal with metal headbands and there is hardly any sign of plastic which provides it a very sturdy build quality. It is one of the top-rated models available out there with an on-ear design that makes it compact and very subtle so that you could use it in any environment. The swivelling ear cups allow you to easily store it in the case provided with the product. It works with all Apple products and you can also take and make calls over Skype when using it with a phone. The pricing, however, is on the higher side and may put off some buyers, but if you are ready to enjoy unparalleled music quality, this is definitely a great buy. The Cowin E7 Pro might surprise with the sheer amount of features and the excellent build quality the company offers at such an affordable price tag. It has received hundreds of positive reviews that stand proof to how good the brand has evolved through the years. The E7 Pro is a wireless headphone which offers a decent 30 hours of playback time on a single charge. The headphones impress in terms of design with a cozy comfortable fit. 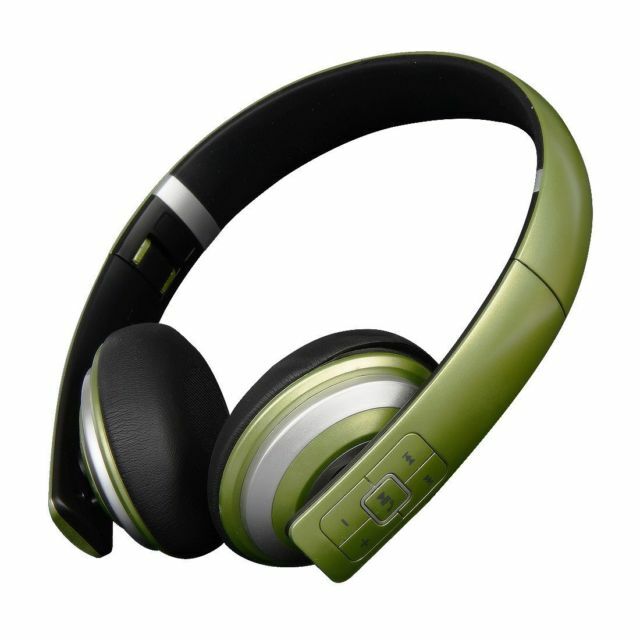 It uses high-quality plastic headphone and really large cushion foams with active noise canceling support. 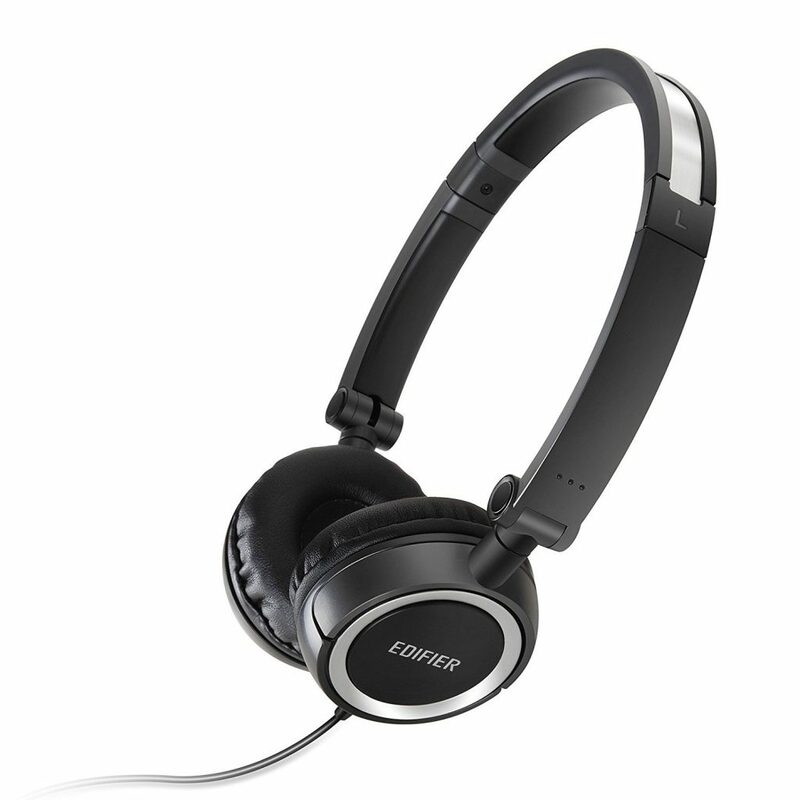 The over-ear headphones will allow you to work with your laptop even in a noisy environment. The ANC features both when using the cans in Bluetooth wireless mode and in wired mode. The model comes with a hard case using which you can protect it during travel and also store it easily in your backpack along with other items without the fear of breaking it. E7 Pro is available in three different colors including black, white and red. You can opt for any of the colors based on your personal preference and the black one is most suitable for an office environment. They won’t stand out but will provide excellent sound quality and noise isolation. While Cowin is more of a consumer brand, it delivers professional quality output. The built-in battery is 800mAh which is large enough to power the headphone for an entire week even if you listen to it continuously for up to 3-5 hours everyday. The neutral sound is a luxury at a time when basshead headphones are plenty to find. If you are among the niche category who likes to listen to music and movies with their originality intact, this is the pair you are looking for. 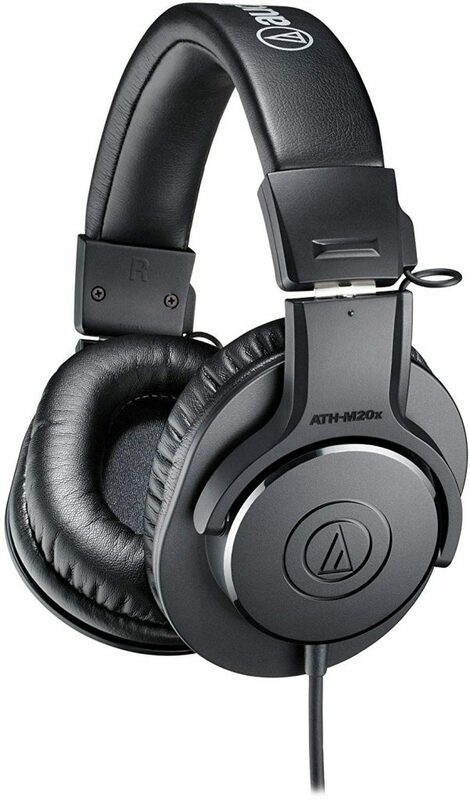 The Audio Technica ATH-M20X is an excellent and exciting pair of earphones that don’t cost you an arm and leg to own. However, it is a pair of studio monitors that are designed to be as neutral as possible with little coloring in the sound. You will no longer hear too much bass or treble on your headphones. Make use of the equalizer found on your iTunes or Spotify so that you can make the most out of your headphones. The M20X is the entry-level product which is very affordable while if you have the budget, you can always go for the M50X which has been consistently awarded the best headphone of the year for many years now. Powered by 40mm drivers and large velour cushion pads, the Audio Technica pair is comfortable for as many hours as you might want to use it. 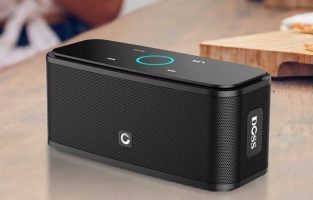 While it is aimed at professionals, consumers who are tired of too much bass and very flashy designs would love what the company has to offer at just $40. It provides better sound isolation with an over-ear design, has flexible cables and the ear cups swivel so that you can store it without any difficulty. This model has a premium ergonomic design that has been made especially for those who love to play games on their laptops. The headset is super soft and features an integrated microphone along with noise-reduction. The wire is anti-braiding and offers high-quality stereo and enhanced bass with extreme clarity. Playing a game with these headphones takes you in a virtual world that is completely amazing. 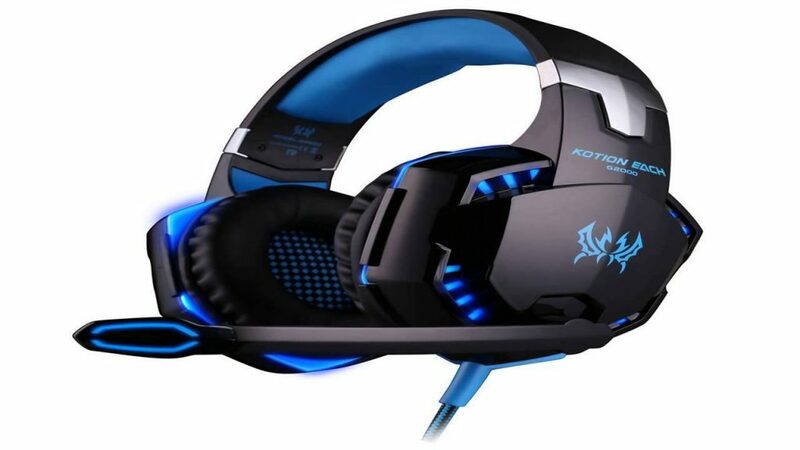 Meant just for the gamers, this pair provides an immersive experience while playing games. It has blue LED lights on the earcups and a 50 mm magnetic neodymium driver offers a high-quality stereo sound which enhances your game playing experience. The ear cushions have ventilation which helps in keeping your ears comfortable even if you have them on for a long time. This gaming laptop headset from Envel has a superb design and the earcups are made of soft leather which offers high-quality sound. It also features noise reduction and blue LED lights on the microphone and the earcups. There is one key microphone mute and a rotary volume controller which gives you the ease of controlling the volume. 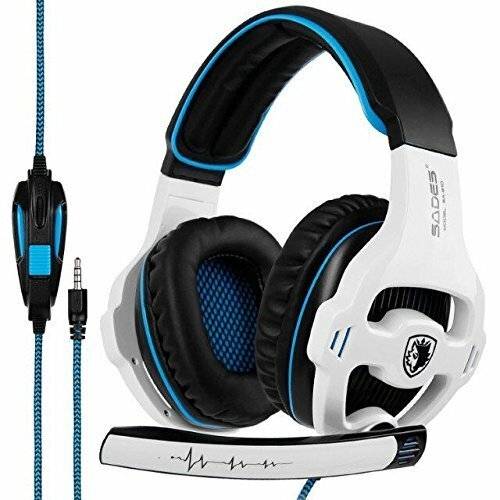 This is one of best laptop headphones in the gaming section. 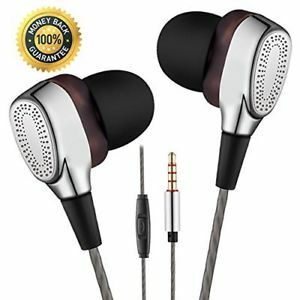 It has a unique leathery look and offers great comfort to your ears when you are wearing it. The brown leather material used combined with red LED lights featured on the tube cable and the sides look stunning. You can wear them for a long time without feeling uncomfortable. 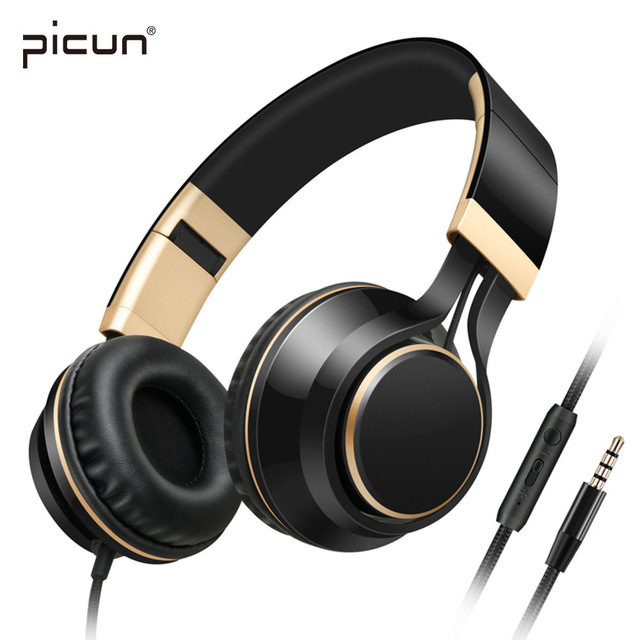 Available in two colors, black and rose gold this headphone from Picun offers HD quality sound and deep bass. The in-line microphone also lets you make video calls while you go handsfree. The soft isolation earpads are comfortable to your ears and the headband is adjustable. The 47 inches braided cord is both flexible and sturdy and it will not break with daily usage. 40 mm drivers in this headphone from Sound Intone lets you enjoy a balanced sound and deep bass while you listen to music, watch videos or make video calls. Soft foamy earcups are made with material that is suited for human skin. Besides comfort, it also offers a stylish look. It is easy to store and easily goes inside your laptop bag to carry it around anywhere. You have three color options – black & white, gold black and black. This is a great model which comes in exciting colors. Soft padded ear cushions offer comfort while wearing them so you can enjoy superior sound through them in leisure. The headphone looks stylish yet is quite durable. It is very light and easy to carry around. 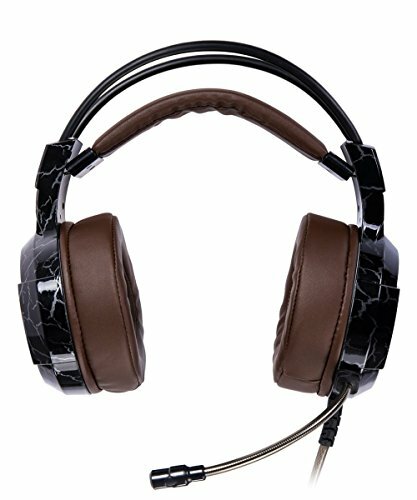 RockPapa laptop headphones are one of the best in looks and quality. You have five different color options to choose from. The noise canceling features let you experience wonderful sound. The nylon rope cord is sturdy and doesn’t get tangled. This is one of the most expensive laptop headphones on this list. It offers high-quality sound and clearly justifies its price. This is a pair of Bluetooth headphones so you can connect your laptop with it and enjoy the wireless sound. It offers an extraordinary battery life of 20 hours once it is fully charged. Get these headphones in two colors – white and black. It features Bluetooth 4.1. The signal is both strong and stable. Snlsy ensures no lag in the sound. The control buttons are quite easy to operate and you can connect and control music through them. You have four different color options in this headphone from Teetox. It offers a 10-hour battery back-up once it is fully charged. The earcups are soft and cushioned. The headband is also made of comfortable material so you can wear it for a long time. Get access to HD quality sound through this pair of metal headphones from Fujack. The alloy cavity design locks the earbuds in your ears so all the other external noises are barred. It offers superior clarity in sound and a powerful bass. It is very light in weight and doesn’t make you feel uncomfortable when you have them on. Listen to clear natural sound through this pair of laptop headphones from TZCER. They come with a microphone that minimizes sound leakage delivering loud and clear sound. The earbuds snugly fit inside your ears and it comes in three different sizes – small, medium and large. COOWIND headphones have a stylish design that sets them apart from all the other models on the list. You get clear sound and powerful bass at any volume that you select. The earbuds are made of silicone and they are sweat-proof. It also features noise reduction so you can enjoy quality sound in any environment. Keku in-ear headphones come in three exciting colors – red, green and black. The earplugs are made of memory cotton which makes them comfortable. They are lightweight and very comfortable. The strong bass makes the sound more energetic and lively. You get 3 pairs of inner rings and silicone earplugs that come in three sizes for anyone to use. 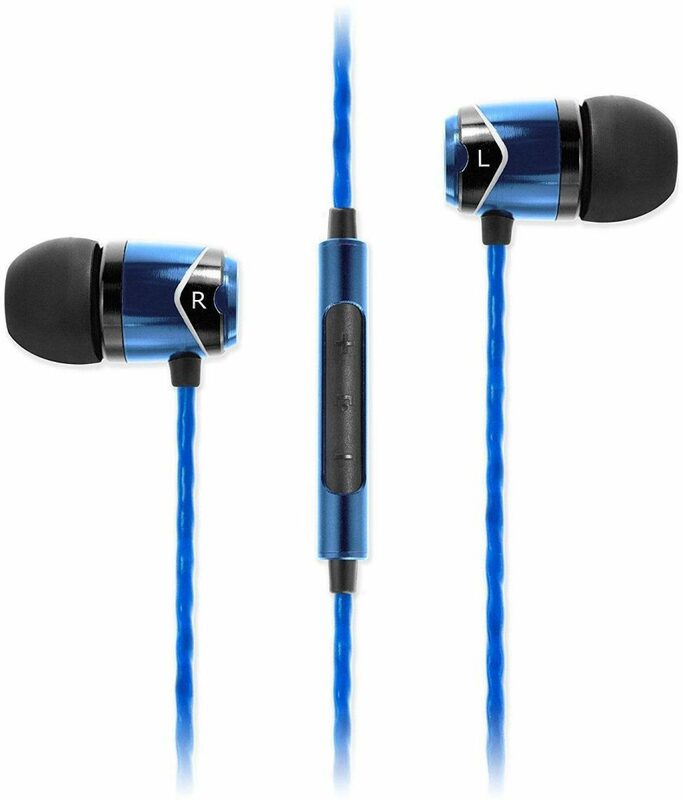 Get these ultra-chic earbuds in three colors – grey, blue and black. This pair comes with a beautiful storage box and a portable 450 mAh battery charging box. Each earbud has a life of 2 hours once they are fully charged. This is one of the best laptop headphones you can buy in earbuds section. Listen to clear stereo quality sound along with deep bass. It has a built-in 50 mAh lithium battery that offers play time of 3 hours. The mini portable chargeable case offers a full charge to the earbuds for 4 times once it is fully charged. Pairing your laptop is super easy and you get a stable connection every time. We have listed some of the greatest and the most renowned brands. Choosing the best laptop headphones is not a difficult task when you know what you look for. 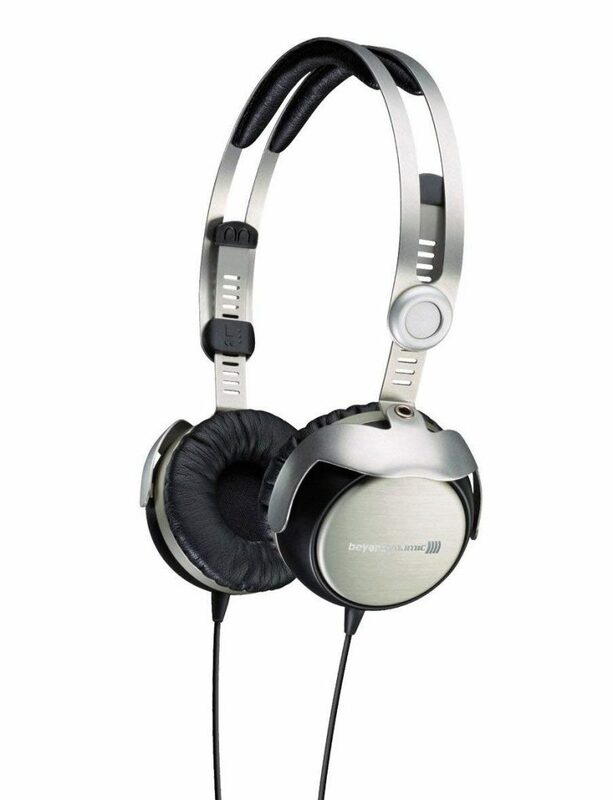 Most users would look for a compact pair of headphone which offers the best sound isolation and sound quality. 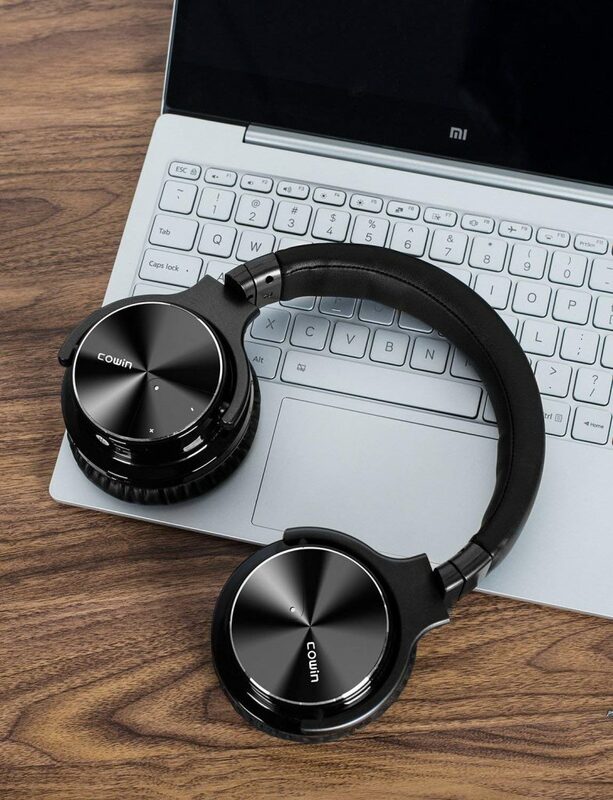 On-ear laptop headphones will offer great compact build quality and design while if you look for active noise cancellation, it is mandatory to go for an over-ear model to safeguard yourself against external noise. 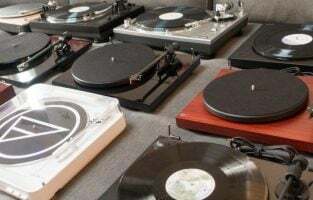 Either way, when you go for popular brands like Sony, Audio Technica, Sennheiser, you can comfortably expect great sound quality irrespective of the money you spend on their pair of cans as even the most affordable model will provide decent quality.